Coming Soon…Available in Your Local Supermarket! Since 2002 Alamarra has made quality mixes for professional chefs and restaurants around the world. 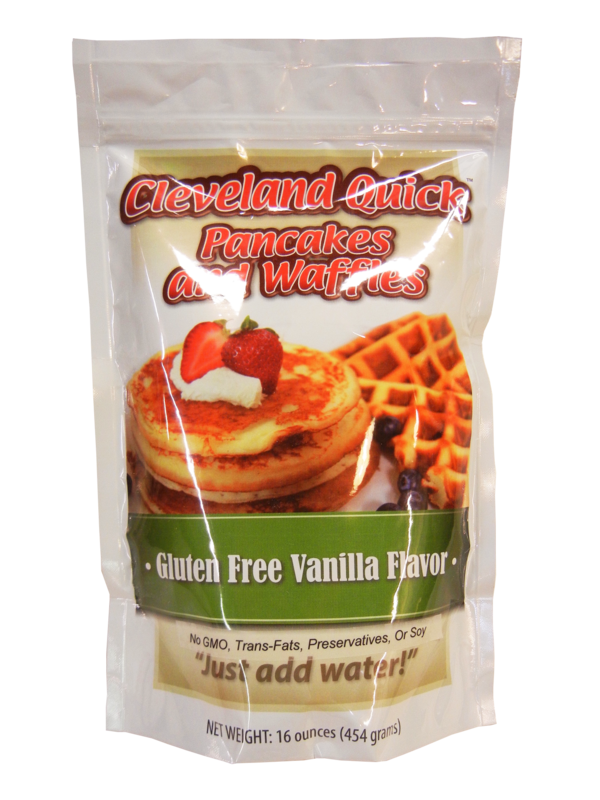 Now these world class mixes are coming soon to your local supermarket! Just Add Water To Make Perfect Batters Any Time And Every Time! 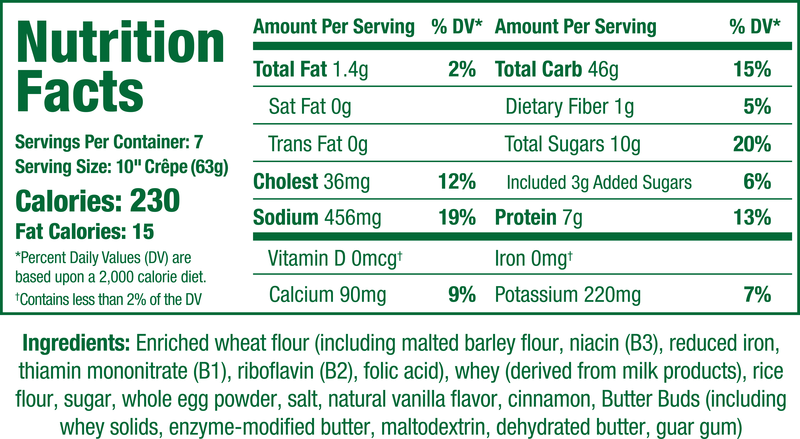 GMO Free, Preservatives Free, Trans-Fat Free, And Soy Free. 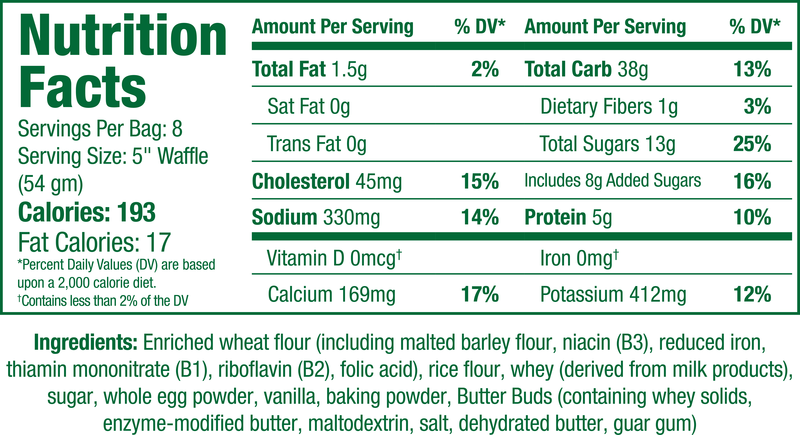 Also Available in Gluten Free. 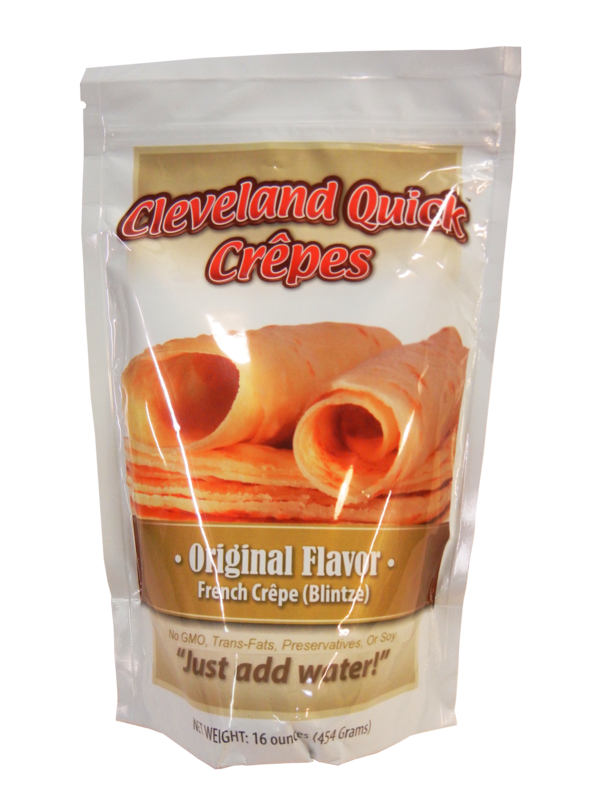 We started with the old world Boros family recipe for crepes that used refrigerated perishable ingredients including fresh milk, butter, and whole eggs. 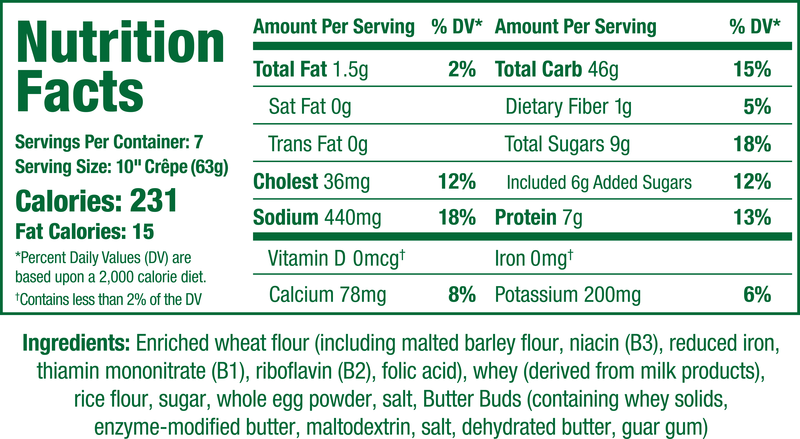 From the original family recipe an equivalent dry mix was developed using powdered milk, butter, and whole eggs. 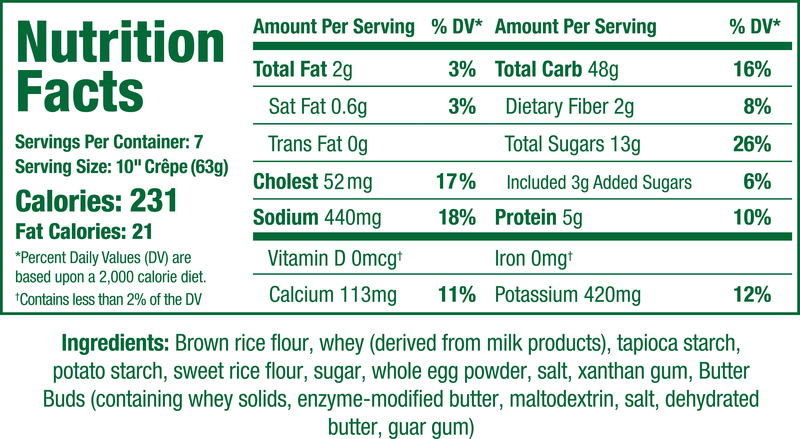 This recipe was fine tuned for superior taste, texture, and suitability for use with an equal volume of water to provide easy consistency in a restaurant kitchen environment. 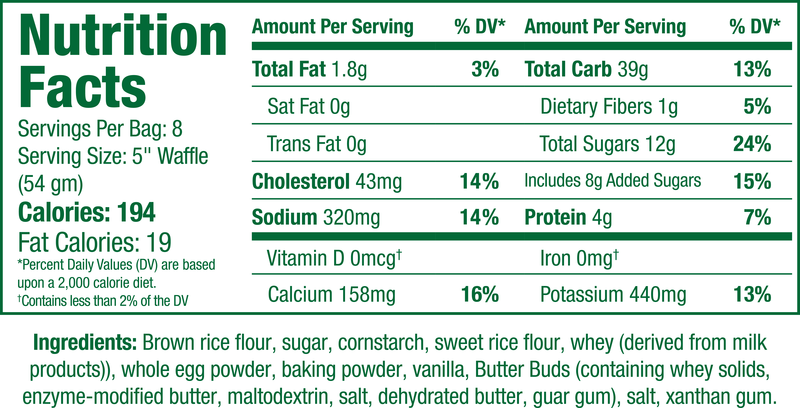 Variations of this recipe have been developed and used to manufacture professional commercial mixes for restaurants all over North America. 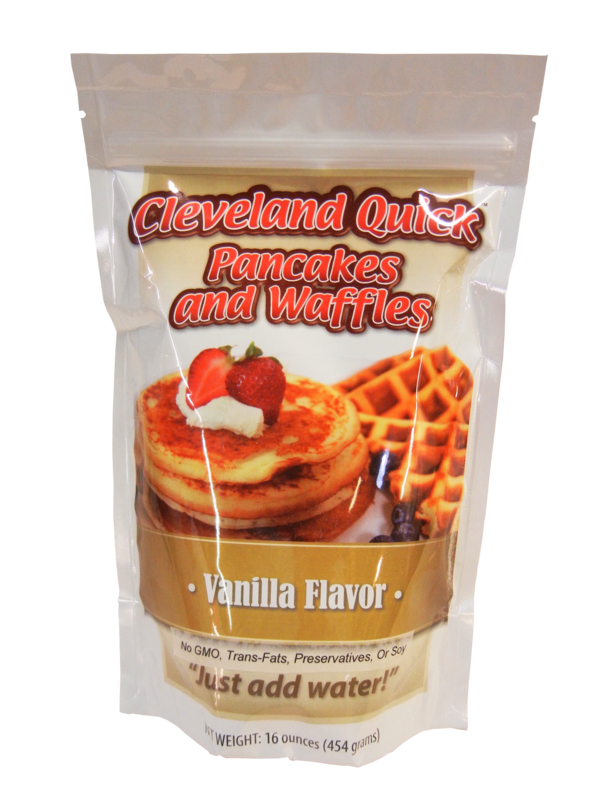 Now the time has come to provide these same professional mixes for retail distribution under the retail brand “Cleveland Quick” that reflects the pride of their metropolitan origination. Adding one cup of mix to one cup of water, the batter is easily made with a whisk without any lumps in the batter as occurs when using perishable ingredients. 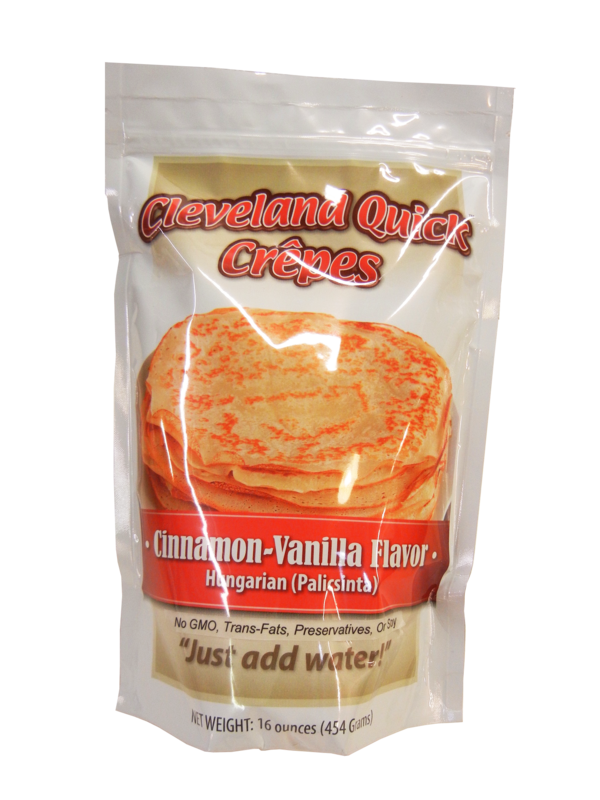 “Cleveland Quick” complete mixes provide superior taste and texture, absolute easy consistency, and make a superior smooth batter. 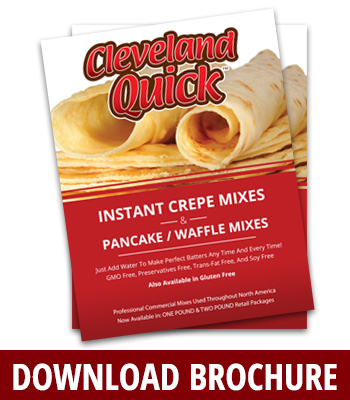 “Cleveland Quick” mixes do not contain any GMO ingredients, preservatives, soy products, and trans-fats. 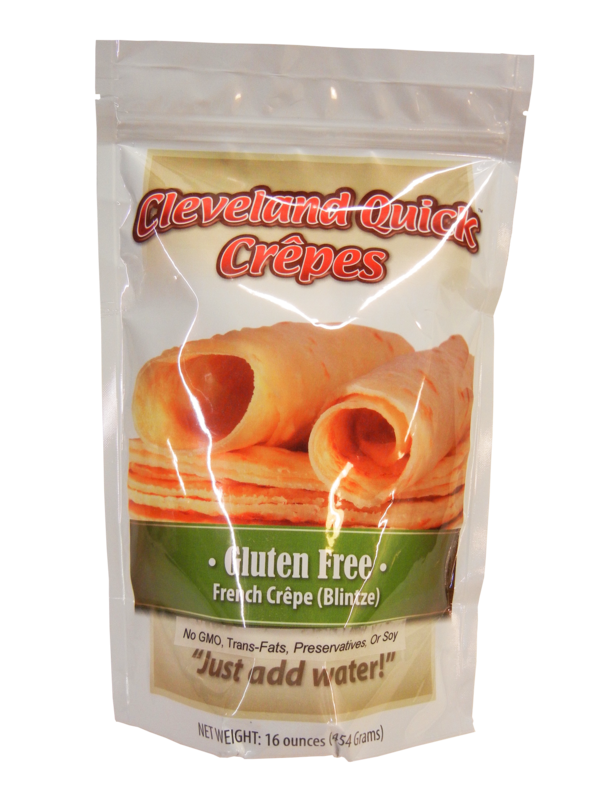 In addition the gluten free products are manufactured in a completely gluten free facility and every batch is tested and certified to contain less than ten parts per million gluten. Proudly manufactured from Americas “North Coast” with the pride and heritage of Alamarra, you will be amazed!